From the 13th century onward the Crown granted charters for markets and fairs which in turn generated revenue from the local landowners, the latter then receiving tolls from the tradesmen. The earliest for the town granted by Edward II was dated 12 December 1309 to Walter Stapledon, Bishop of Exeter who at that time was Lord of the Manor of Chudleigh. The charter gave the entitlement to hold a weekly market every Monday 'at their manor of Chuddelegh, and a yearly fair on the vigil, feast and morrow of St. Barnabas'. This three day fair at some point reduced to two days and was to eventually run for a 545 year period until ceasing in 1854. It is perhaps a mark of determination of the local inhabitants that despite the devastation and disruption caused by the fire in May 1807 this fair still went ahead, barely three weeks after the calamity. The second charter for the holding of an annual fair was granted in 1525 by Henry VIII to Bishop Veysey. 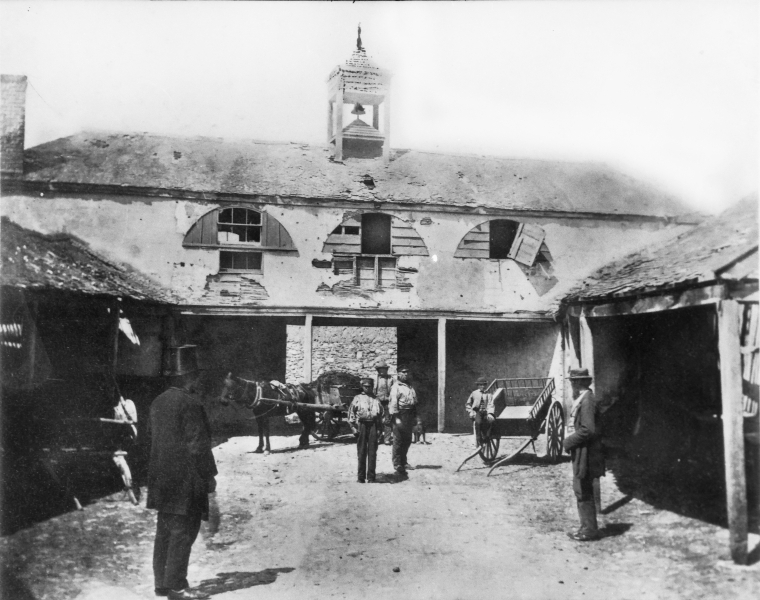 Three years later Veysey transferred his right to hold the market and fairs to various Chudleigh men who acted as feoffees on behalf of the parish. This charter changed the weekly market day to Saturday and granted a three day annual fair on the eve, day and morrow of St. Matthew the Apostle. In return the parish had to pay the Bishop an annual rent of 8d at Michaelmas. Over time the length of the St. Matthew Fair was reduced to one day and was also referred to in more recent times as Michaelmas Fair it continued for 333 years, ending in 1858. At the time these charters were drawn up the feast days of St. Barnabas and St. Matthew were celebrated on 11 June and 21 September respectively but from 1752, the Gregorian calendar first established by Pope Gregory in 1582 was finally adopted in England. The result was that in that year eleven days were lost which resulted in the feast days of St. Barnabas and St. Matthew moving to 22 June and 2 October. An item in the Exeter Flying Post referred to the calendar change as 'the alteration of the Style'. It appears that at some point in the early 1820s the St. Barnabas Fair was no longer held on 22nd June, instead it took place on Whit-Monday. A third fair was granted by Charles II in 1672 to the Rt. Hon. Lord Clifford and others for 'an annual fair to take place on the Monday, Tuesday and Wednesday of Easter week to commence on 31 March 1673'. With Easter being a movable feast the dates that the fair took place were not affected by the calendar changes made in 1752. Over time this fair reduced to one day duration which invariably took place on Easter Tuesday. Following the inauguration of a monthly cattle market in 1875 the fair was often combined with the April livestock market. By late 1891 the monthly livestock auctions had ended and from 1892 the annual Easter Fair continued as the only livestock market for the town. These latter years saw a general decline, both in the cattle and pleasure fair. In 1900 the Weekly Express commented, 'steps need to be taken to put the Fair on its legs again, we hope to see some person interest himself in the matter and that Chudleigh in reality shall be a Fair and somebody there, not as it was this year and nobody there'. Unfortunately matters did not improve and the last fair was held on Tuesday 10 April 1901, after which the newspaper commented 'the old-Fair day of this town went one worse yesterday, and without a sign scarcely to awaken past memories, when the fair of this town was a real 'going concern'. The land owners and tenant farmers have no apparent wish to keep it on its legs, and if something is not organized next year the fair of Chudleigh will have breathed its last'. Indeed it had, 1901 was the 330th and final year of the Easter Fair. 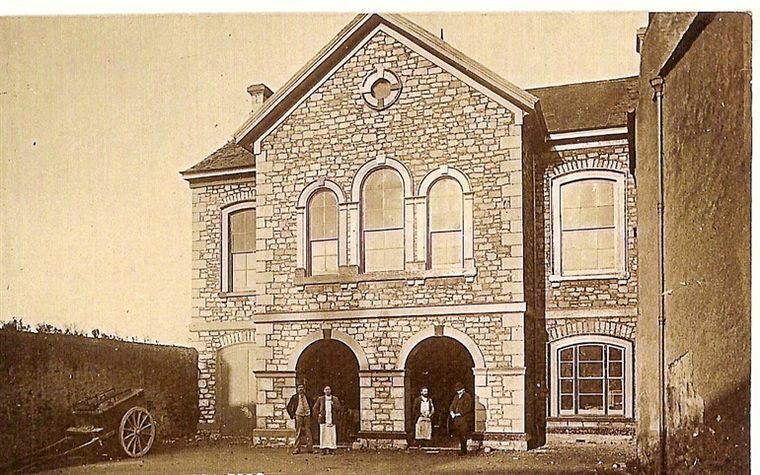 For over 500 years the franchise to operate the annual fairs and weekly markets on behalf of the parish was leased to local tradesmen and in turn their rent paid formed a large part of the annual income of the parish. At the end of Fore Street at the commencement of the Parade is a house called Old Fairfield. This house has early origins and in the 1700s was named West Indies House. This house once adjoined the field called Fair Park. This field ran parallel along the west side of the Parade and was used as the location for the early fairs. However, this land was never in parish ownership and it is probable that it was never the permanent location for the holding of fairs. It may even have depended on what crops were in season as to whether the fair could be held there or whether the parish could afford the rental charged by the owner of the time. If the field was not available then use was made of the ground next to the church that was in parish ownership. In early times called the Sporting Place it was later the Playing Place and most recently the Play Park. Originally a field in the true sense, it was regularly let to tenants for sheep grazing and the like. It is only in more recent times it has taken on a purely recreational guise. The first surviving parish records are for the year 1561 in which Nicholas Ball, a stonemason, is shown as the lessee of the weekly markets. His role as market man continued for the next ten years during which time he held overall responsibility for the smooth running of the markets and fairs and in return receive a wage. The parish accounts for 1561 show a total income of £26 17s 6d. This included tolls from the 'Barnabas Fair and Matthews Fair; rent of the Cheap House and standings in the Cattle Market'. The expenses of £24 4s 4d amongst other things were incurred for boards and stakes to form standings or pyns (pens), ropes to fasten the steers and for 'crying the fairs in sundry places'. The rental from Nicholas Ball amounted to £11 6s 10d. For his work as market man he received a wage of £1. As a stonemason he also received payments from the parish for 'making the bridge and paving it', 'stoning the gutter by the Church House and the bridge in Exeter Way' and 'for mending the gutter by the Cheap House'. The early accounts also have frequent entries of 'led for tokens, and for striking the same'. These leaden tokens were used in the fairs and markets, probably as checks for the payment of the tolls. During the 17th century the woollen trade reached its height which ensured the success of the markets and kept the annual rents high, reaching a peak in 1677 when the rents received by the parish were £120. The 18th century by comparison saw the decline of that trade and the rents reflect that. The year 1730 returned rents of £70 which had reduced by almost half at the close of the century. The woollen industry had died out altogether in Chudleigh by the early 1820s and the yearly rents were barely averaging £30. In 1858 the weekly market was a shadow of its former self and by then two of the three annual fairs were no longer held which resulted in a trifling rent to the parish of £7 15s. By 1866 with no weekly market the one remaining fair at Easter was generating less than 10s a year and the tolls arising from it were said to be 'barely worth collecting'. Even from 1875 when a monthly livestock auction was established the letting of the Play Park for this event only returned an annual rent of £2. This rental income in its much diminished state ceased altogether by the close of the 19th century following the demise of the livestock auctions in 1891 and the final Easter Fair in 1902. The Old Town Hall and market, built after the Great Fire of 1807 and pictured here in 1857. Built hastily and of poor quality, it quickly became unusable and was demolished soon afterwards.